Despite community outcry, the University District Gateway Bridge didn't get named after Spokane civil rights icon Carl Maxey. But soon, another structure in East Central Spokane will be getting Maxey's moniker. Sandy Williams, publisher of the Black Lens, a local African-American newspaper, has already managed to corral enough money together to purchase an old auto garage building and a parking lot near the East Central Fred Meyer. The plan is to create an African-American cultural center. It felt right: East Central — along with Hillyard — has among the highest concentration of African Americans in Spokane, Williams says. But when Williams was discussing how to name the cultural center, she said a friend suggested that, instead of highlighting a national figure, the group should pick a local civil rights figure to honor. "It was like a bat hit upside my head," Williams says. "It was like, yeah, duh." 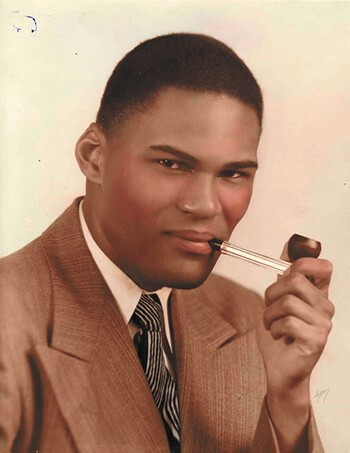 Maxey, the first black attorney in Spokane, was the man the New York Times credited with "virtually single-handedly desegregating much of the Inland Northwest." Community members raised $90,000. A big name donor matched that with another $90,000. Combined with support from the city of Spokane and foundations, Williams' Friends of the Black Lens nonprofit managed to raise $375,000 to purchase the building in November. "The level of support that we received when we started this thing exceeded our wildest imaginations," Williams says. "Just that makes me really hopeful that our community recognizes how important this is to have a space like this." The next step requires working with an architectural firm to draw up the plans for rehabbing the building. Right now, Williams envisions the building potentially including a coffee shop, a multimedia education center, office spaces for freelancers and a cultural library focused on African-American literature. Williams says she's in communication with an African-American library on the west side about the possibility of that library including traveling exhibits. But that will require a new round of fundraising before the building can open. "I'm in the process of writing grants right now," Williams says. "We're aiming for 2020."